"They're going 150 miles per hour down the runway, hitting the patch of ice and making sure they can still keep it under control," said 2nd Lt. Kitsana Dounglomchan, a public affairs officer on the base southeast of Fairbanks. 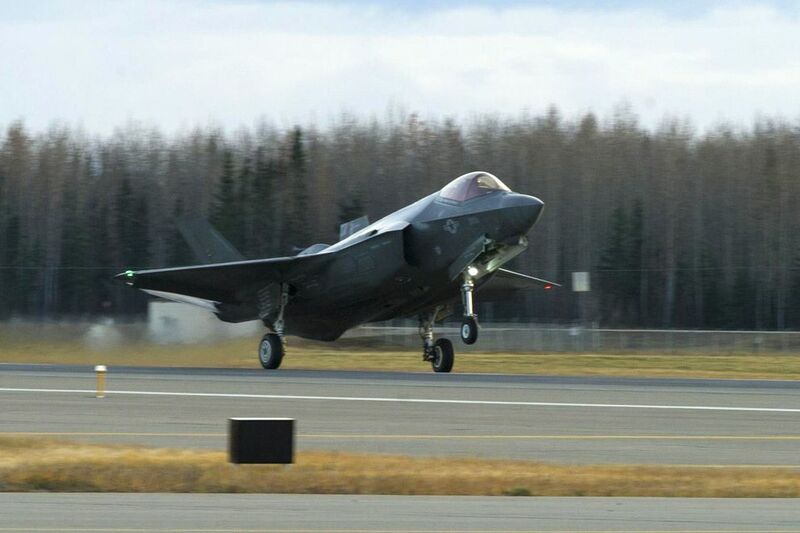 The F-35 arrived at Eielson last month. It's the latest step in the long-term plan to bring 54 of the new F-35 stealth fighters to Eielson. The F-35 is the military's most advanced jet yet, and also its most expensive. Eielson's batch of the radar-evading planes will start arriving in April 2020. With them will come about 3,500 people, including airmen, contractors and family members, most of whom are expected to settle in nearby North Pole, said Kevin Blanchard, who directs the 354th Fighter Wing's F-35 Program Integration Office at Eielson. "I think people see this as a boon to Fairbanks," Blanchard said. In North Pole, construction has already started in preparation for the new residents tied to the F-35 program. The greater North Pole area, which covers about 100 square miles, is expecting its population to increase by at least 10 percent, said North Pole Mayor Bryce Ward. "When you talk to folks in town, pretty much everyone knows about the F-35s," he said. "It's a pretty big deal to the community." Ward said roads were recently paved for a new subdivision with 60 or so lots on the west side of town. And on the east side, another new subdivision is in the works. Ward, a contractor, said the new construction follows several years of a "really depressed housing market." "I think for a number of years we had one, maybe two homes being built a year," he said. The announcement that the Air Force would send F-35 fighters to Eielson "really turned around North Pole." 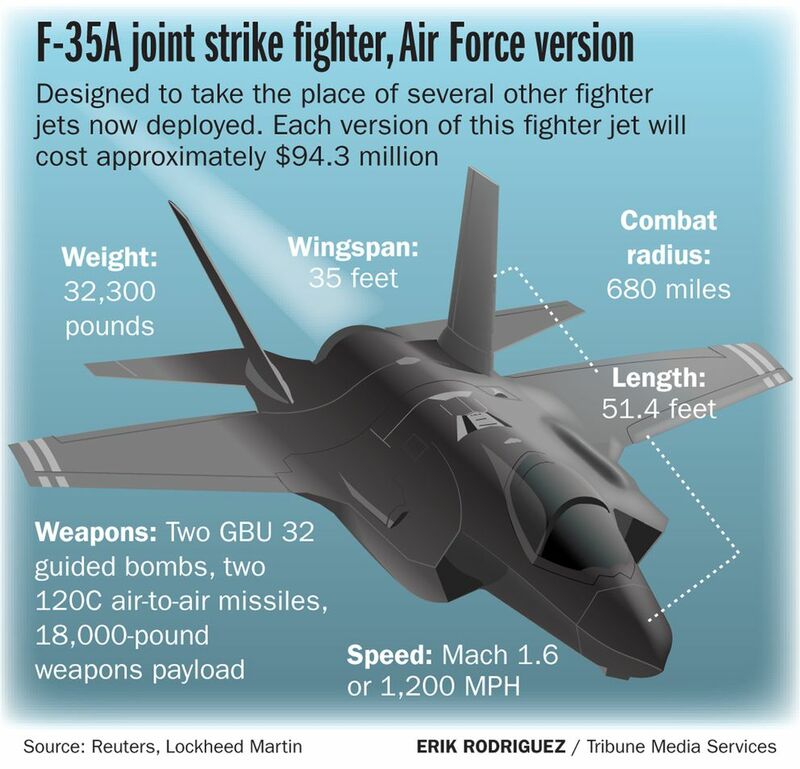 At Eielson, about $550 million will be spent on construction and renovation projects for the F-35 program, according to Blanchard. The projects include renovating airmen's dormitories and building a new child care center. There will also be a new building to house a flight simulator and a new maintenance hangar. "We're in constant planning mode right now," he said. The Fairbanks North Star Borough continues to examine how it can accommodate Eielson's expansion. It was awarded a $601,644 federal grant to study the potential impacts of the influx of people to the community, said Jeff Stepp, special assistant to the borough mayor. The project team conducting the study reported last week that it expects an additional 2,430 residents to move to the borough by 2030 in addition to those coming with the F-35 program. It expected the new residents would come, in part, because of the increased economic activity in the area due to the base expansion. The team is also projecting thousands of new jobs in the borough by 2030. Stepp said the project team will ultimately produce a report in March that establishes what needs the borough must fill before the F-35 program arrives, including with its schools, transportation and housing. 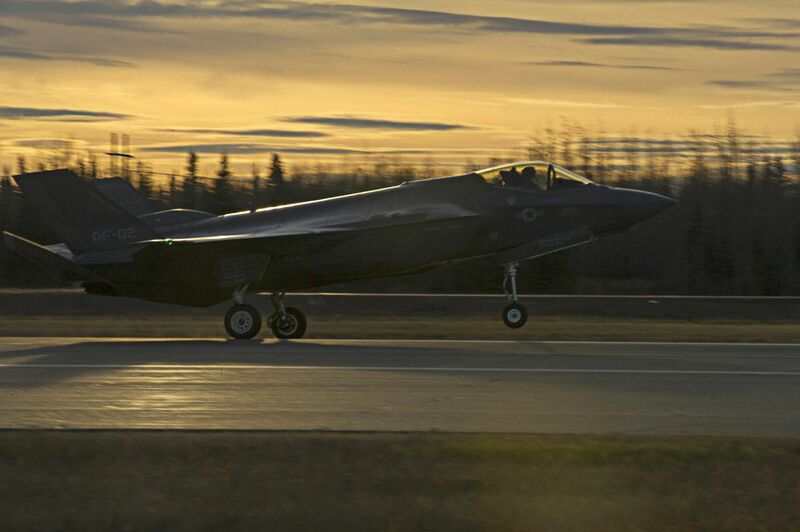 At Eielson over the next few weeks, the military will continue to test the F-35's ability to maneuver on an icy runway and taxiway, which does not yet include it taking flight, Dounglomchan said. 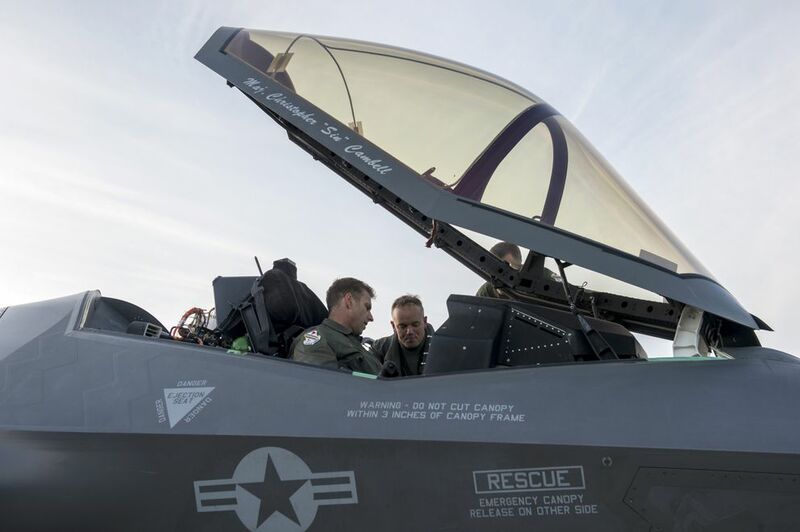 Eielson is also testing a drag chute, requested by Norway, that would help the F-35 land on a short runway with high crosswinds, said Lt. Col. Tucker Hamilton, commander of the 461st Flight Test Squadron at Edwards Air Force Base in California. Dounglomchan said the F-35 will head back to the California base on Nov. 20. In January, five F-35 fighters will arrive in Eielson for more robust testing, including flights.